Woven labels have long been a traditional and reliable method for labeling all types of clothing whether it be school or nursery children to care home residents and everything in between. The labels can have 1-2 lines of text, a motif and be printed in 1-2 colours with a name and other basic details. These labels aren’t printed but as the name suggests they are woven using a thread and needle into satin ribbon. Whilst woven name labels do a great job they aren’t the only type of label available and aren’t able to compete with our alternative products. We offer a true alternative using the same soft satin ribbon, we have developed an in house bespoke process that allows us to print full colour and offer a greater amount of personalisation options to suit your needs all while maintaining the same ribbon sizing that woven name labels use. 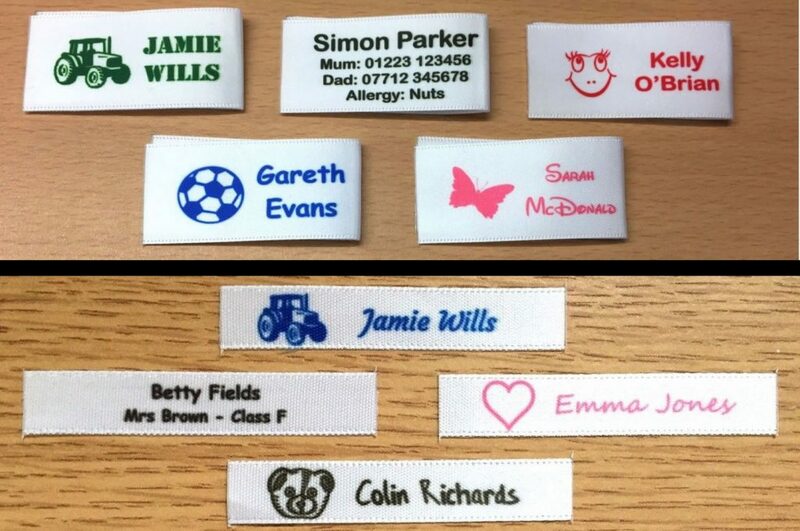 We manufacture all of our own name labels at our Cambridge UK production facility and the material we use is a super soft double sided satin ribbon which unlike woven name labels doesn’t have any risk of https://www.sew-in-name-labels.co.uk/wp-admin/edit.phpirritation, our labels are fade free and there’s no risk of any thread coming loose either. You may only want a simple name and class number or name and room number on your labels and that’s fine but we can offer a minimum of 10+ fonts, 20+ print colours including full colour and 50+ optional motifs to make your labels extra special. Over several years we have produced thousands of woven name label alternatives and sold them to many hundreds of happy customers who have realised the benefits of our offering to them. Simply put if you need name labels that are the same size as a woven name labels but would like to have a greater amount of personalisation options then our labels are worth considering, in fact some of our larger labels e.g. 25mm also offer the ability to include important contact and/or medical information should the wearer become lost or injured etc.